Personalize a wreath with your monogram. Create words to express a special message. Show support for your favorite sports team. 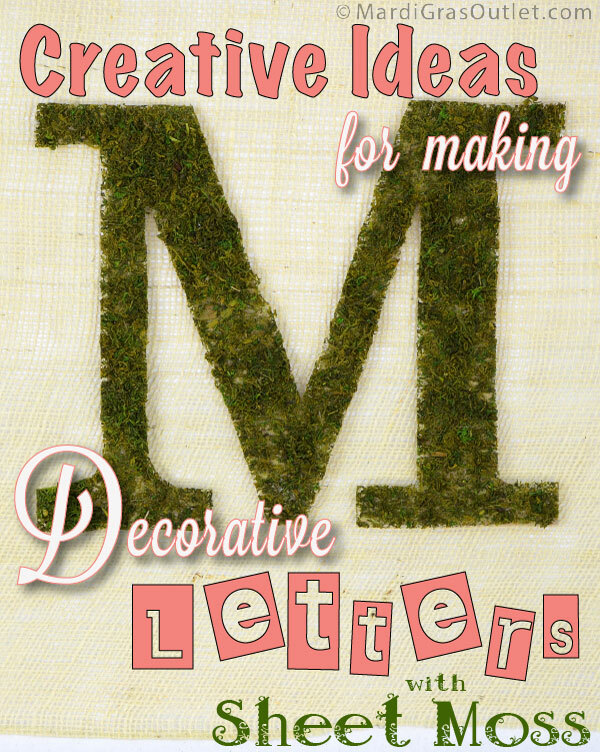 Decorative wooden letters can be used for many different projects. The basic wooden form gives you a blank slate to create lots of different looks. Over the next few posts we will highlight lots of creative ideas for customizing decorative wooden letters and numbers. 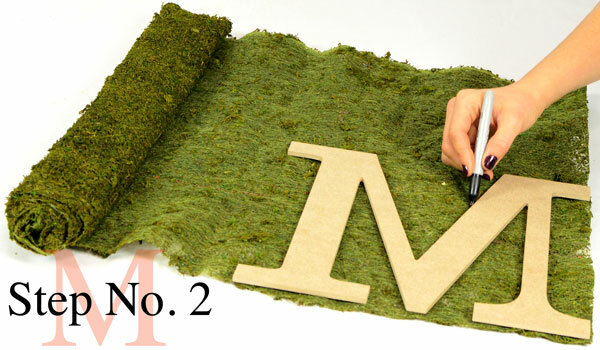 In the tutorial featured here, we show you have to easily cover a wooden letter "M" with fresh green sheet moss for a natural spring look. The cost of the supplies for a moss letter is under $17. There will be lots of sheet moss product left over for additional projects or more letters (3/4 of the roll of sheet moss). Covering the decorative letter with sheet moss takes less than 15 minutes. 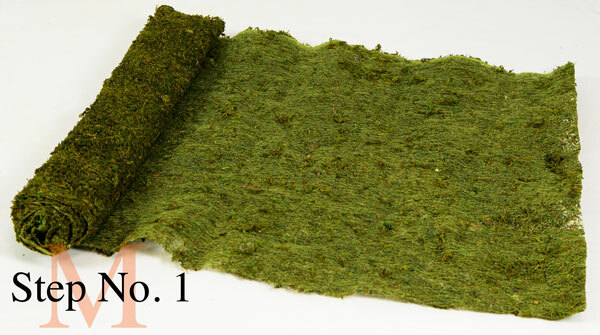 Unroll the moss on a flat surface, wrong side facing up. It sheds, so using it on a surface covered with newspaper will make cleanup easier. Flip the letter so that it is face down on the back of the moss, (the back should be facing you, the font of the letter above is similar to "New Standard", there is a diagram available here to tell which side is the front). Use a permanent marker to make an outline of the letter. Cutting the moss is easily done with scissors because the back of the moss is flat. 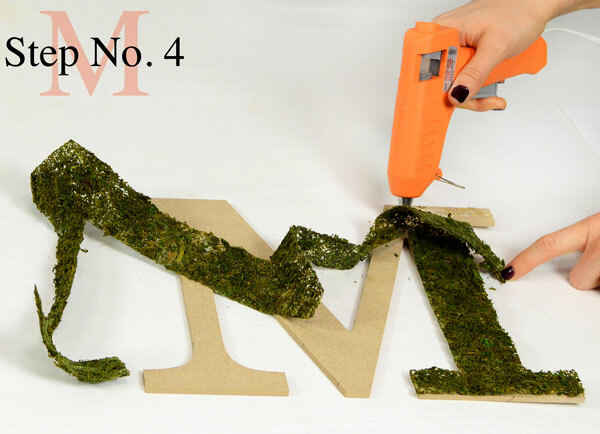 Using a glue gun or spray adhesive, apply glue to the front of the letter, and carefully lay the moss onto the surface. Press down only when you have the exact placement correct. The finished Moss Letter in under 15 minutes of craft time! 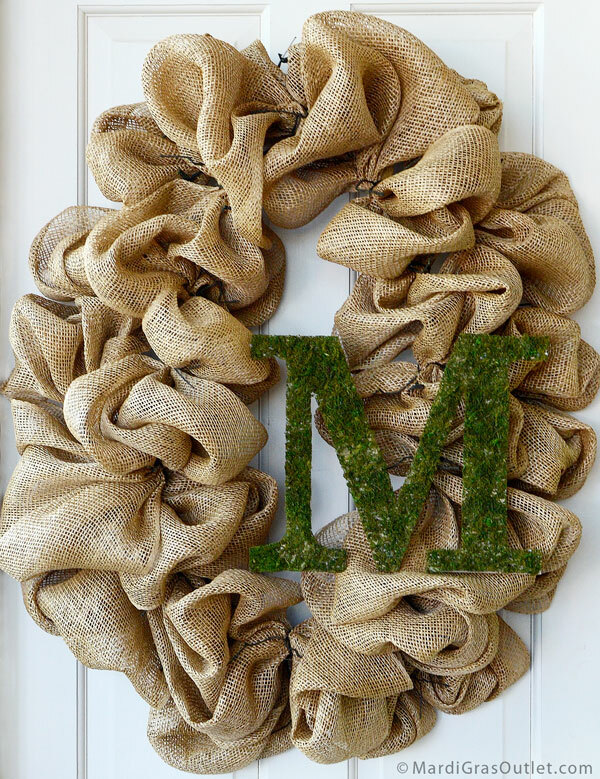 We love the look of the decorative moss letter "M" on a textured burlap spring wreath. You can find the wreath tutorial in this post. 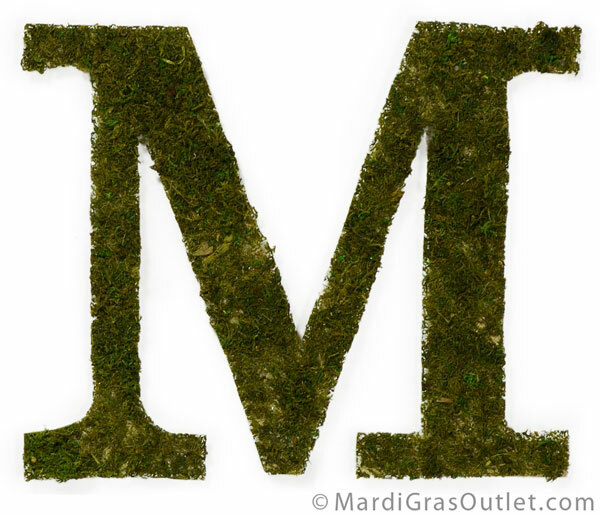 What would you decorate with this mossy letter?